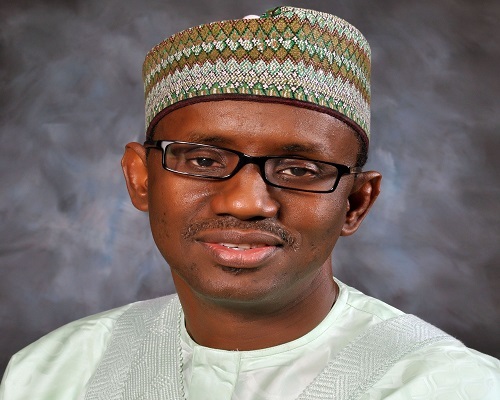 The Director of the Presidential Campaign Council of the All Progressives Congress (APC), Malam Nuhu Ribadu, has offered an insight on the reason behind the presence of two governors from the neighbouring Niger Republic during the presidential campaign rally held in Kano metropolis. Economic Community of West African States (ECOWAS) protocol of free movement of persons within the ECOWAS sub-region. Ribadu, who was the former chairman of the Economic and Financial Crimes Commission (EFCC), faulted the notion held by members of the opposition political parties that the APC would rely on votes from Nigeriens and Chadians to sweep the polls. According to him: “For your information, it is a free world and it is the constitutional right of everyone to be where he wants to be. You have no right to curtail anybody from doing what he wants to do. People from West Africa are free to move into Nigeria. We have a protocol or agreement that they don’t need a visa to come into this country. “I know for sure that they don’t have the right to vote, but as a free West African who believes that someone has done extremely very well, and decided to identify himself with what he believes in, I don’t think there is anything wrong and I don’t think there is any crime committed. You cannot and you have no right as a Nigerian to stop them from exercising their fundamental human right to identify with their friends. Ribadu called for concerted efforts aimed at ensuring the reelection of President Buhari, to save the country from the hands of those who see politics as a means to satisfying their selfish goals. The Director General/Chief Executive Officer of the Consumer Protection Council (CPC), Mr Babatunde Irukera, assured that a second term for President Buhari would tackle the multifaceted problems be-devilling the country. He added: “The records of the government is the foundation, one of the things people agree with is that you cannot build a house without a proper foundation. You have to make them understand that foundation takes more time and after you build a foundation, the next thing you do is to cover it because it is a soft structure and you connect that with next level because after the foundation you move to the next level and that is what we are doing. “Building is good with a solid foundation. If you buy land and build a foundation, it is easier and you build quicker but the first thing that this government has to do is to deconstruct the broken system and then excavate the nonsense that was there. So, the government is doing deconstruction, excavation and construction in the last three years and so the case of continuity is made. “One thing that people are experiencing now is poverty and what you people would sell to them is that it is the seed that was sold in the past and the fruit of the seed that is being sold now is the prosperity in the future that lies ahead if we allow continuity. In attendance at the occasion were the former Governor of Osun State, Rauf Aregbesola, Deputy National Chairman (North) Senator Lawal Shuaibu, and the Deputy Director General of the Campaign Council, Engr Waziri Bulama.